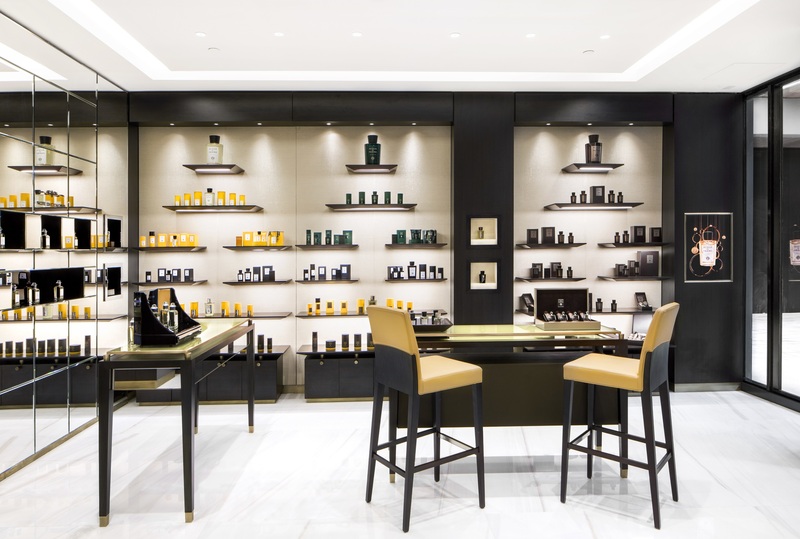 “These candles are all hand-poured,” says Acqua di Parma boutique manager Phillip Gallardo. “And these boxes for the Colonia fragrance are hand-pressed in Italy. The labels? Affixed by hand. Even these showroom stools are handcrafted in Italy.” Gallardo weaves through the white and canary yellow space accented by dark wood and blue-bottled fragrances, opening a door labelled Barbiere to reveal a barbershop annex. Inside are four mirrored walls, a full set of stainless steel shaving tools alongside a thick badger brush, and a chair imported from Catania, Sicily. The scene is set for a perfect hot towel shave—by hand, of course. Those with an appetite for Italian handmade goods will be sated by Acqua di Parma’s new Miami boutique—part store, part barbershop—the brand’s first North American shop and fourth global location. The fragrant temple of Italian savoir vivre sits comfortably within a modern context on the first floor of Miami’s Brickell City Centre. Flooded with natural light and potted palms, the new $1-billion shopping complex is located steps away the financial district. “We selected Miami as our first city due to its international recognition in art, design, and culture which are values that define the essence of Acqua di Parma,” explains Giovanni Lepori, the North American president of Acqua di Parma. “With events such as Art Basel and Design Miami, we knew this was a city we wanted to be a part of.” (The next store opening will be in Dubai, later this year.) The heritage brand is no stranger to international recognition itself, and has come a long way in its 101 years. 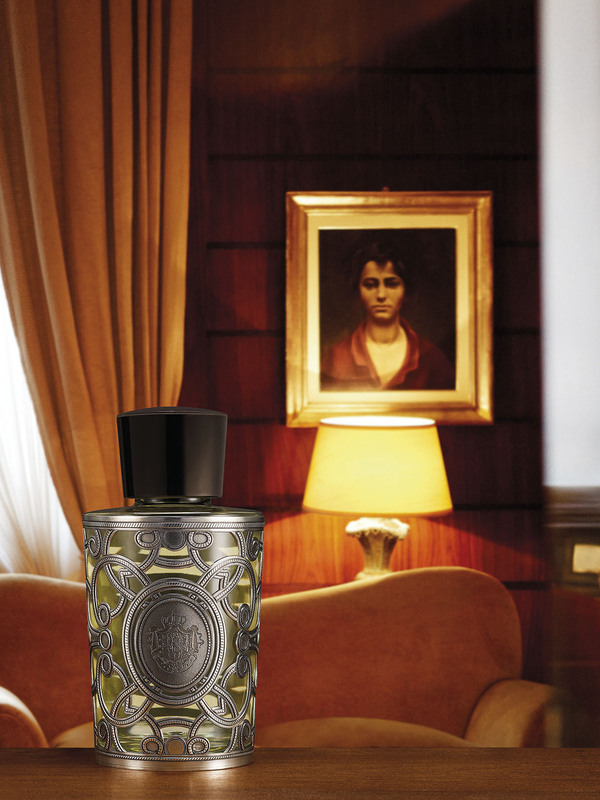 It all began in Parma, in 1916, with the citrus-forward men’s fragrance Colonia (a perpetual bestseller), rich with notes of lavender, rosemary, Bulgarian rose, and musk. Fast forward to 1993, when Acqua di Parma was purchased by a triumvirate of Italian luxury business owners—Luca di Montezemolo of Ferrari, Paul Borgomanero of La Perla, and Diego della Valle of Tod’s—who revived the label throughout the nineties. In 2003, it was purchased by the LVMH group. What started as a perfume label has branched out to include candles, bathrobes, skin-care products, and leather accessories as well as boutique exclusives like buffalo leather business totes and cigar boxes. “Our overall image may appear masculine,” admits Gallardo, “but we are much more than that.” Many of the fragrances can be unisex and new scents are constantly being developed, such as Peonia Nobile, one of the newest scents for women, as well as Ebony and Mir additions to the Ingredient collection (a set of different interpretations of Colonia), due out in March. Still, the store’s crowing jewel is thoroughly masculine: the aforementioned barbershop. 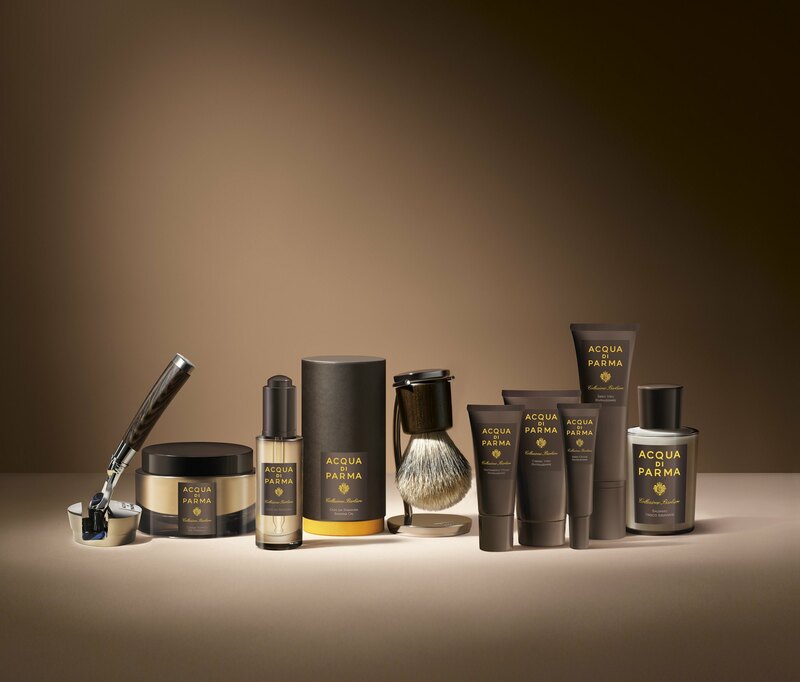 Customers can book four different men’s services, including a facial—no haircuts—using Acqua di Parma Collezione Barbiere products. In-house master barber Michelino Nibaldi was trained in Milan by Roberto Spinoza, one of the brand’s celebrated barbers. “Here in Miami, we wanted to continue the tradition that started in the very first boutique,” says Nibaldi, explaining the intricacies of each pampering treatment. Every shave ends with a few dabs of calming face serum. “Of course, [Acqua di Parma] is Italian, so when I was taught to apply the serum they described it as the sign of a cross—a dab on the forehead, cheeks, chin.” Nibaldi demonstrates the act with a flourish, forming a cross in the air with careful, steady hands. 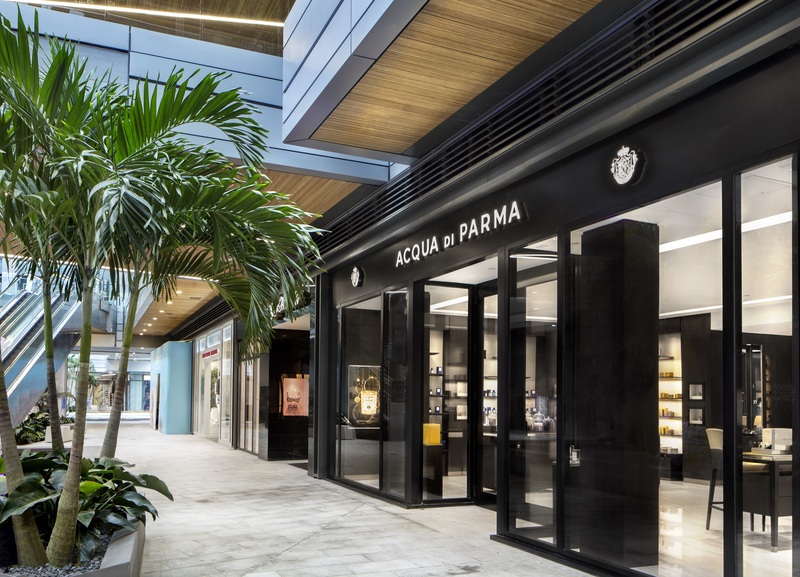 Acqua di Parma, Brickell City Centre, 701 South Miami Ave, Florida. +1 786 220 8840.